Follow @growninhaiti on Instagram for updates. 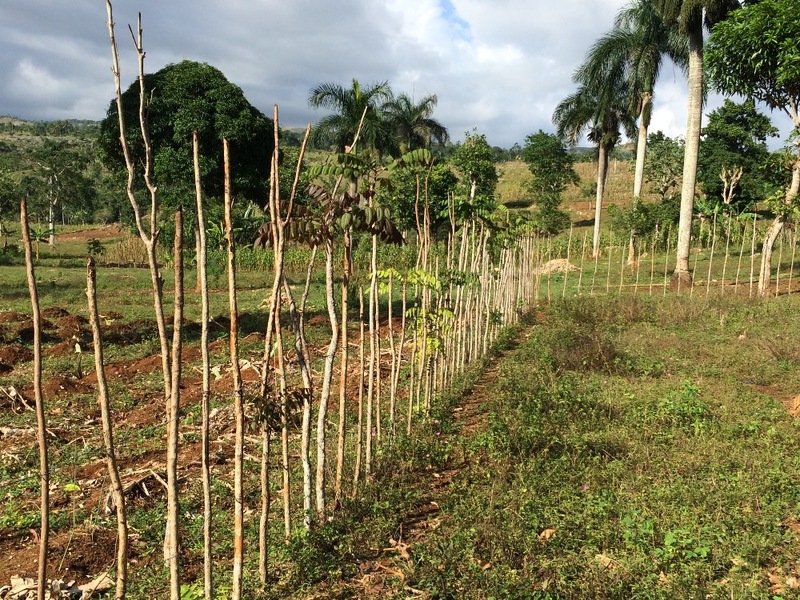 I'm writing to you today asking for help so that more can be done within Grown in Haiti. By donating, it will help provide the needed supplies to set up a solid foundation in order to facilitate our efforts. If you're not able to donate, please take the time to plant at least one tree this year or send us the seeds so we can do it for you. Longterm volunteers are always welcomed, even short term visitors. We've already purchased the site a few properties to start with. We have most of the tools needed to get us started and have a decent inventory of seeds that we've both purchased and gathered locally. 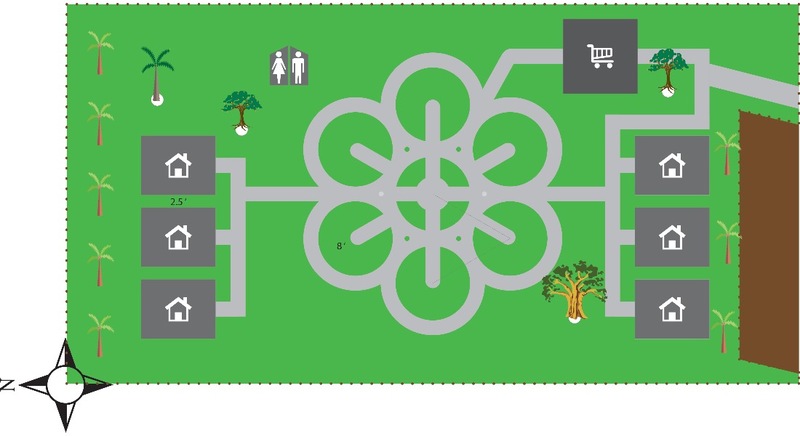 Layout of eco-center and community garden. 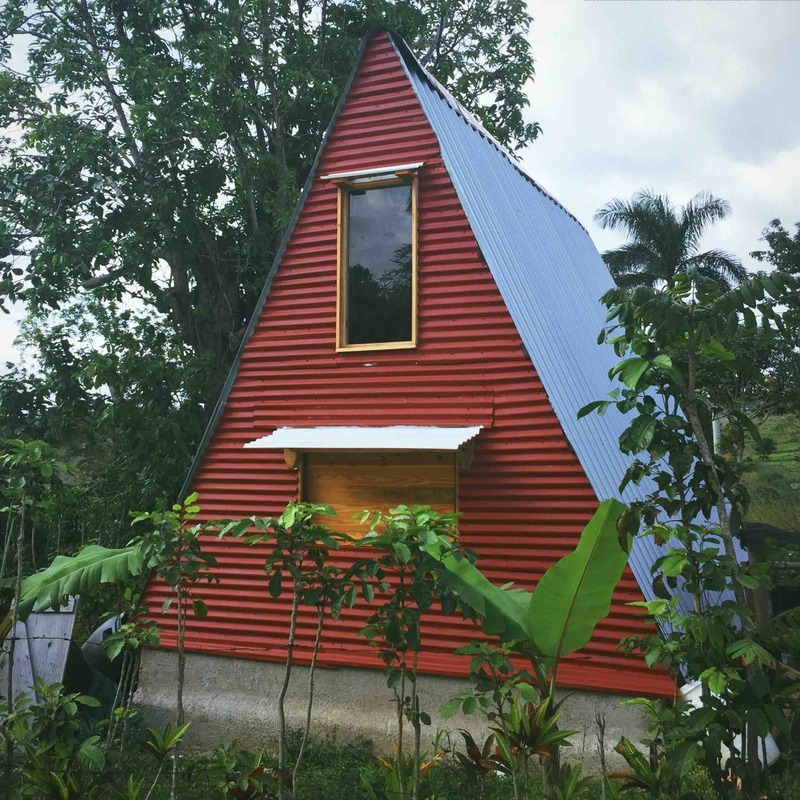 Mini 10'X15' home will be built to accomodate long term volunteers and visitors. 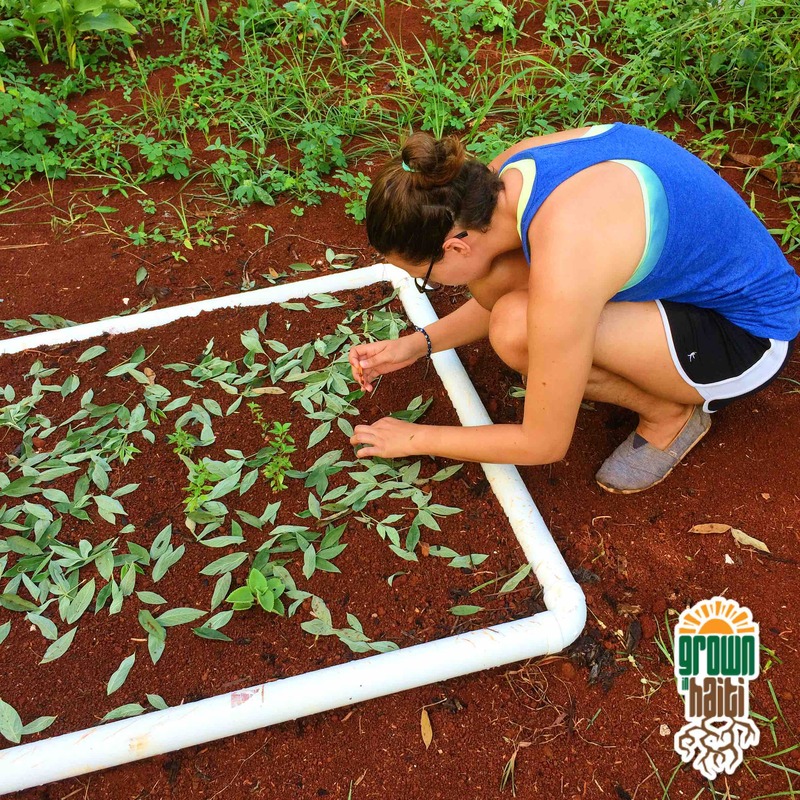 With your help, we can have a better set up for our nursery and we also plan to start an ecological center where long term volunteers and locals can visit, learn and participate in all that we do. But there are a few things we would need first to make the process happen a bit quicker. Working all day and night to complete our goals. Pictured on left : the group of local volunteers who helped us accomplish our main goal of housing the animals. 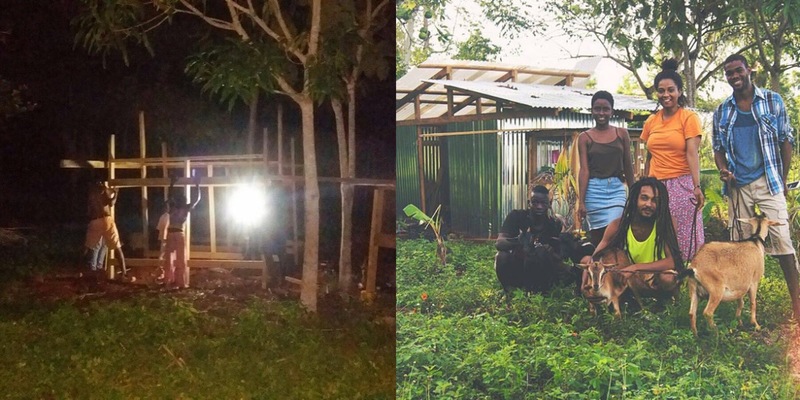 So far, with your donations, we've managed to build homes for all the animals (Pictured above: a home for goats, pigeons, ringneck doves, guinea pigs, and bunnies) as well as supplying material for the kids in the neighborhood to build their own cages and small enclosures. As the animals multiply, I will share offsprings with my neighbors. You can see new leaves forming on our live fence. Great success! We've changed our original plan of having an artificial fence to a living fence which has already been completed by coppicing other trees and rooting clippings (roughly 500 trees planted to make the fencing alone). After my first year here, I also realized that a composting toilet will surely be the smartest way to go. Not only will we be getting rid of waste, but we'll also be adding much needed nutrition and organic matter back into the soil. 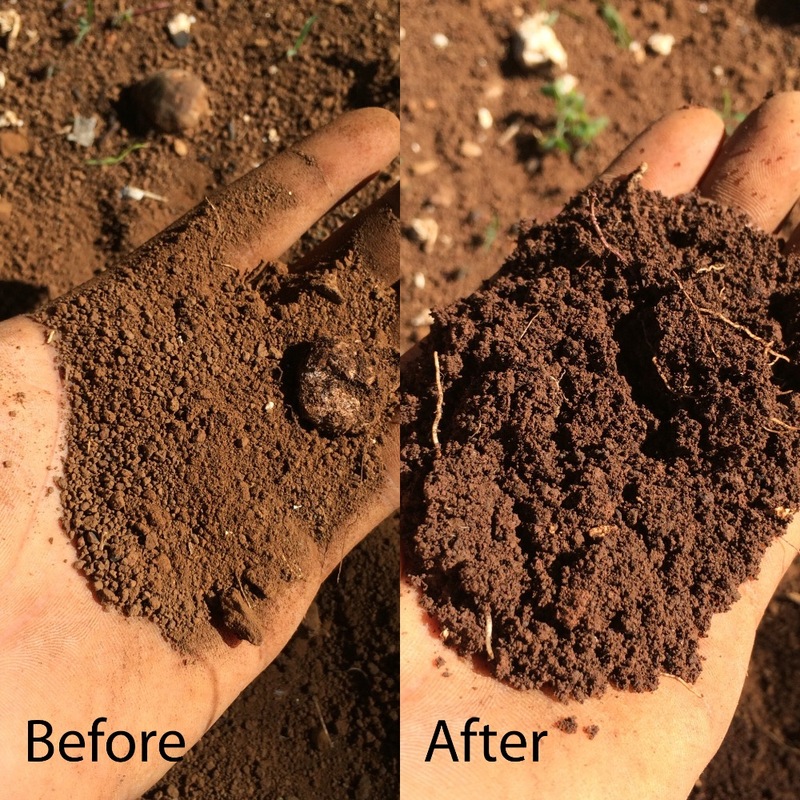 Picture above shows soil from the area compared to what's in my garden plots. Our main intention of being here is to preserve, introduce, and re-populate the land with all kinds of fruiting/beneficial trees, to promote breeding and exchanging seeds, to show that Haiti can produce valuable products in a sustainable way without clear cutting and deforestation and to create an educational and retreat center where people from all over the world can come visit and learn about the community here and what is happening first hand. Trees are a precious resource. 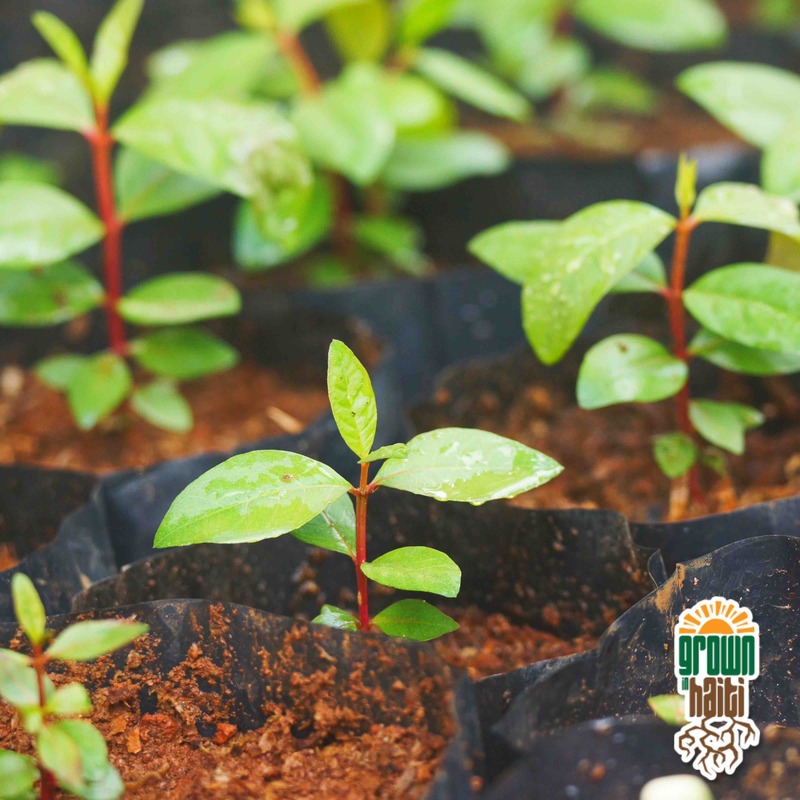 They provide us with cleaner air, oxygen, food, medicine, prevents water pollution, conserves energy, prevents soil erosion, and many more. Trees can also provide lumber and firewood if done sustainably but remember to replant multiples for every tree that is cut. Kevince and I gathering local plants for the nursery. Please note that nothing from our garden will be sold. All trees and seedlings will be given away to the community and anyone who would be interested. Other then trees, I've also planted a small garden of various greens that aren't currently grown or provided here in order to produce seeds for the community. 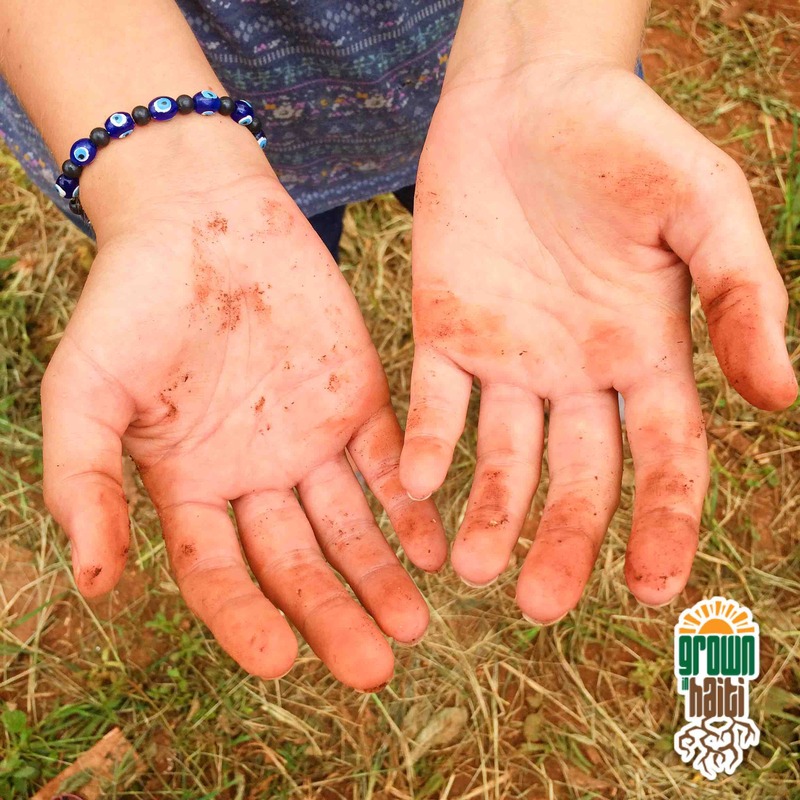 Hoping to some day start a community sustained agriculture program. I initially chose this area of Haiti as a place to recover from a serious head injury but soon realized that more was needed here. It is now almost completely deforested in comparison to 10 yrs ago when I first visited this area. I've heard people say that they aren't even interested in planting anymore because they don't feel as if they will live long enough to eat what it produces. This way of thinking breaks my heart and we need to make a difference. During this past year and 5 months living in a tent, I've managed to plant close to 2,500 trees including but not limited to banana/plantain, breadnut, bamboo, breadfruit, soursop, lime, flamboyant, almond, cashew, cacao, palms, longon,p omegranete, grapes, star apple, sea grape, zapota, guineppe, starfruit, durian, baobab and plenty of ornamental plants. Our current makeshift nursery has sprouted and given away close to 500 trees and just added a bunch more thanks to a generous donation from air-pot.com. More seeds are still being sprouted in recycled coffee and water bags gathered from the streets and we've also moved on to upcycling glass bottles donated from local bars and restaurants. N O W W E N E E D Y O U R H E L P ! 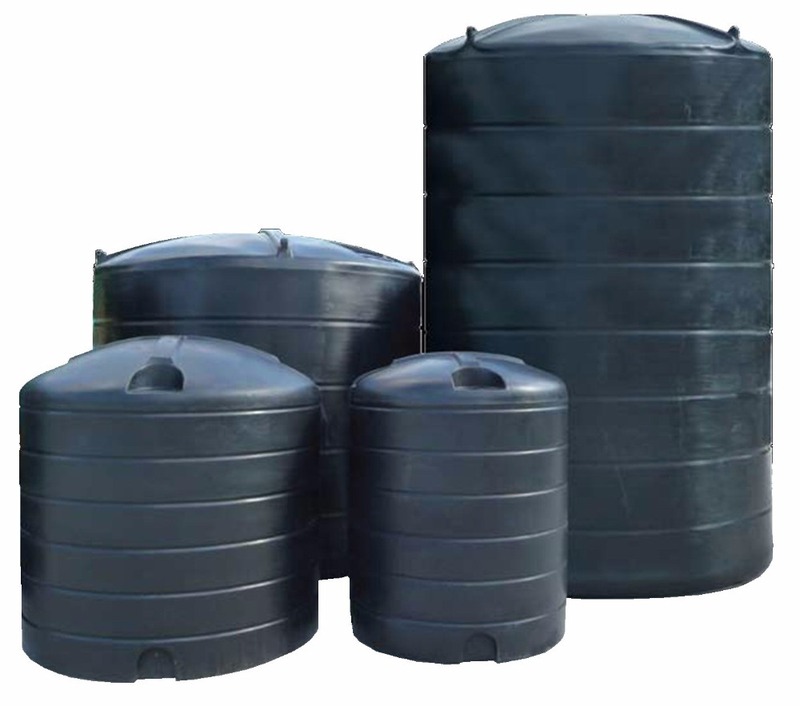 We need to increase our capacity to collect rainwater. The nearest source of water other then that is a 2 hour hike down the mountain with 2 heavy buckets, on foot. I've already done this many times during dry season and I promise you that its not easy. This is one of our mail goals as there is no other source of water other then rainwater in our area. With enough stored water, we'll also be able to provide for our neighbors during times of need. 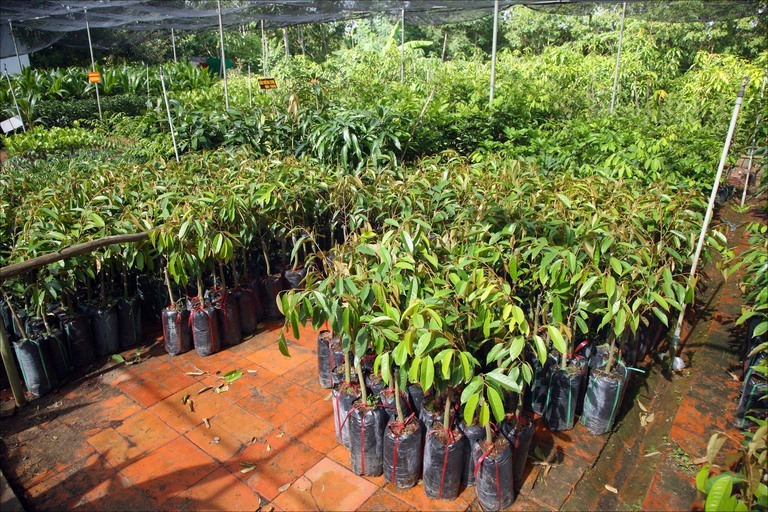 We need to setup a more organized and functional nursery in order to increase our yield so that we can plant thousands instead of hundreds of trees at a time. This includes purchase of reusable pots for larger trees and a hothouse/greenhouse area as a protective area to germinate seedling would also be ideal as weather can be random at times and it gets fairly chilly at night. A tree will be planted in your honor and we can provide an update as to where it ends up permanently. A tree will be planted in your honor and one of our glow in the dark wristbands will be sent to you. 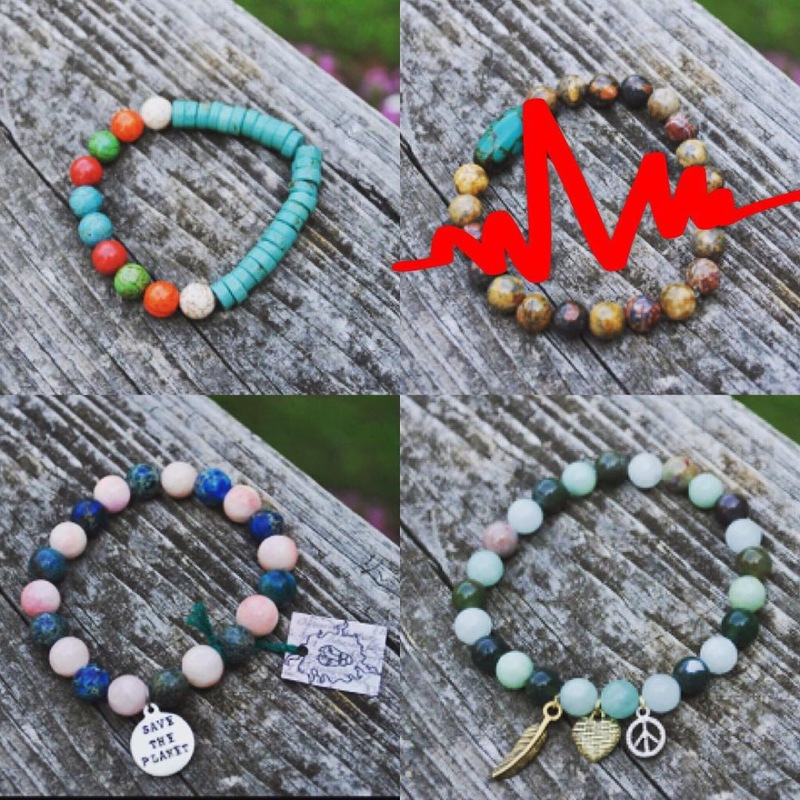 A tree will beplanted in your honor and one handmade bracelet by @junecaniel on instragram will be send to you. (4 limited edition, only 3 left to claim). A tree will be planted in your honor and one hand stamped, aluminum bracelet will be sent to you. A tree will be planted in your honor, one of our glow in the dark wristbands will be sent to you, as well as a customized t-shirt in your size. A tree will be planted in your honor and one hand stamped, copper necklace will be sent to you. 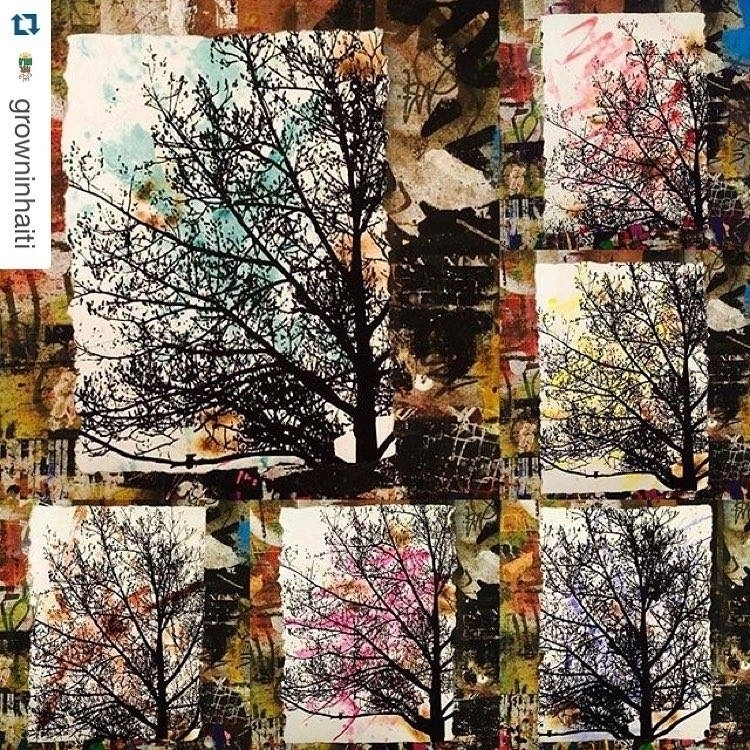 A tree will be planted in your honor and one "tree print" by URNEWYORK, will be send to you. (6 Limited edition. Only 4 left to claim). Will soon update with more as things become available to us. Highest donor will have the nursery named after them. Feel free to email us directly if you have any further questions. Choosing to donate not only helps us, but it also pushes our long term goals to see a greener planet one step closer to reality. SO PLEASE DONATE TO HELP PLANT MORE TREES!! 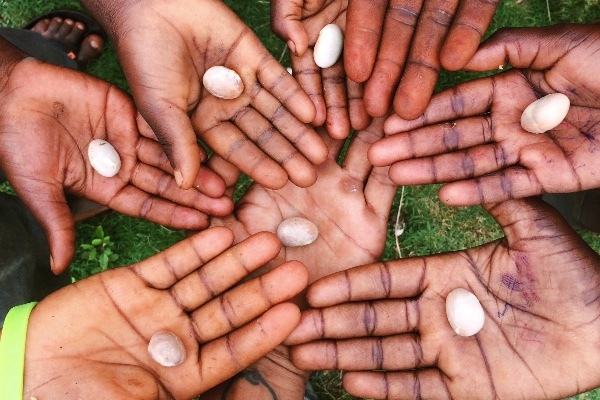 SOW THE SEED AND WATCH IT GROW!!! 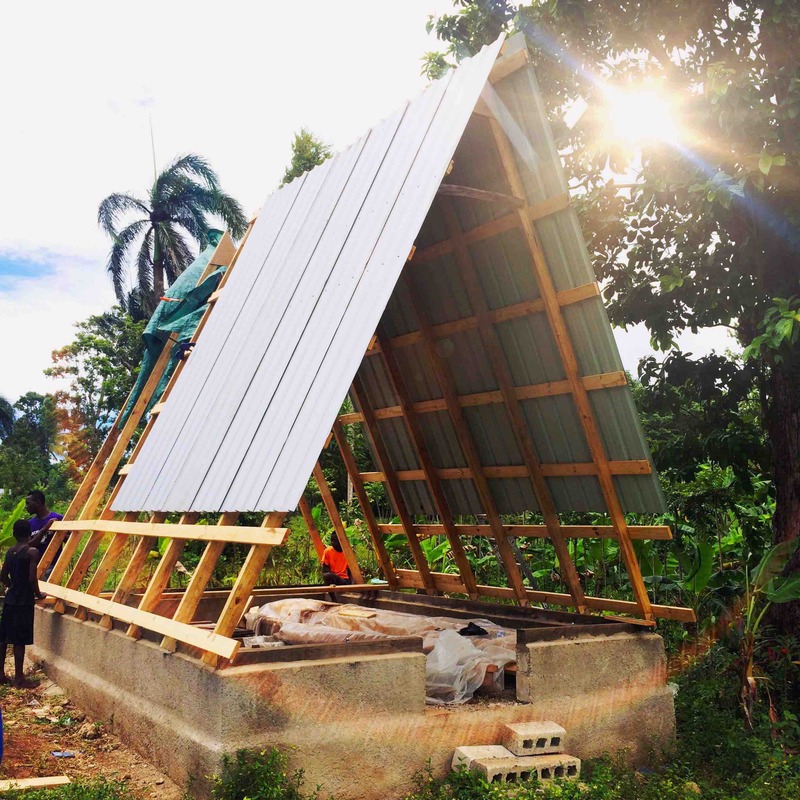 Please note that all funds are collected by my partner, Yi Liu in NJ, where supplies may be purchased and shipped or fund can be wired to Haiti. Our website has finally launched as we’re coming to an end of this campaign. At completion, I will post a video of all that has been done since the start of this campaign. So difficult with reception in Haiti sometimes to post videos but I will be sure to find a way. Thank you everyone for your continued support. On behalf of our community, we are eternally grateful! 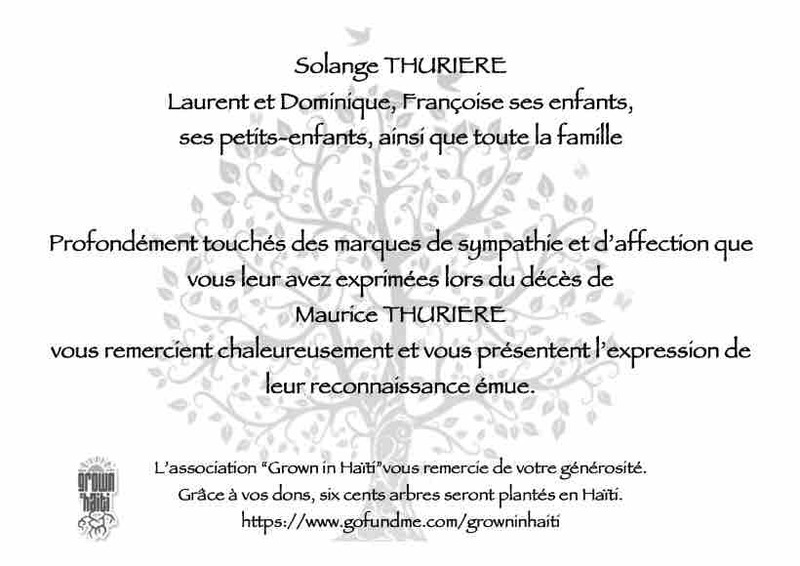 Maxime Thuriere from Enbois Originals mourns the passing of his grandfather, Maurice Thuriere, by supporting the growth of more food forest being grown in Haiti. We graciously thank everyone who has has shown their support in our fight against against deforestation during these times of grief. 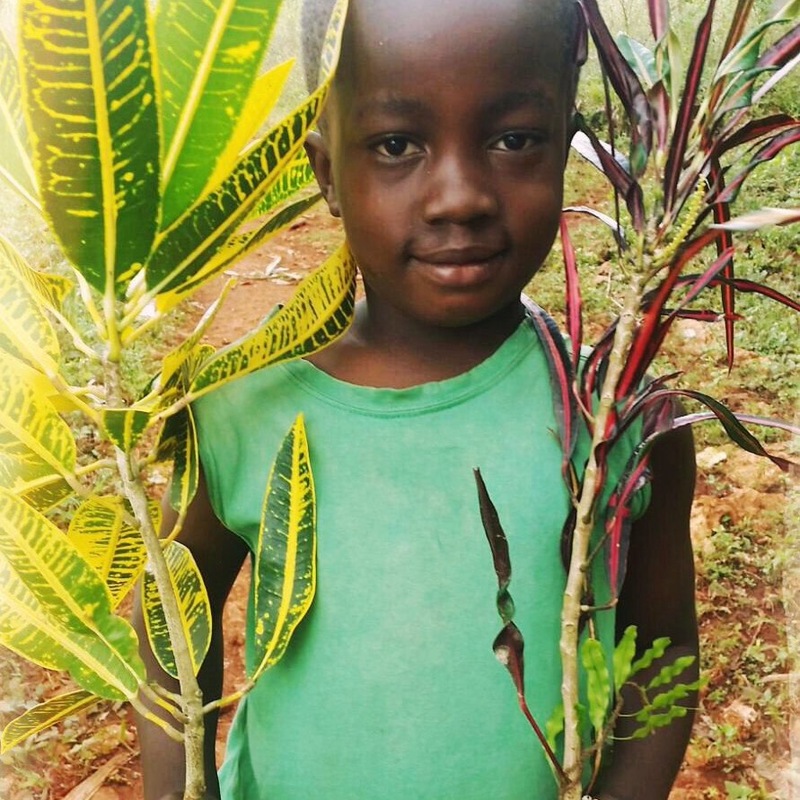 Close to $700 was collected and will go directly into growing our nursery to help reforest Haiti. From start to finish, we got all of this done by hand with the help of the local kids. They had the opportunity to learn about tools and construction first hand and are already making plans for when it's time to build their own homes. What is the email to get in touch with you..? After a wonderful stay with Sidney and Yi on this project, we became big believers in what they are doing and happy to help contribute towards it. Happy giving Tuesday! I’m very happy to be able to help you reach your goal. Looking forward to visiting this winter and getting my hands dirty!